What Will Control Gold Prices Tomorrow? Analysts often look to gold as a broad gauge of anxiety and in these times anxiety runs high. Case in point: a U.S. government shutdown has been a repeated concern for many Americans. Gold is reacting accordingly. Gold futures have been on the rise as indecision on capitol hill lingers. One senior market strategist at RJO Futures remarked that “Gold is shaking off an upside bounce to the dollar and looking at the possibility of a government shutdown.” That is, the dollar has fallen recently against a basket of currencies amid the same shutdown fears. That drop makes gold (priced in dollars) particularly attractive to buyers. There is often an inverse relationship between the value of the dollar and the price of gold. Even as politicians work through a deal to keep the government operating, many lack confidence in the long-term prognosis. In this first year of a new presidency staff turnover is at an all-time record high. U.S. and European economies are in growth mode. Meanwhile, other major world economies are also on the the upswing. For example, China is witnessing the continued growth of the middle class. This primes their economy for expansion. Why does this impact gold investors? China is the world’s largest gold market. Many of these middle class consumers are setting their sights on luxury goods, namely jewelry. Meanwhile, expectations for India are also on the rise. 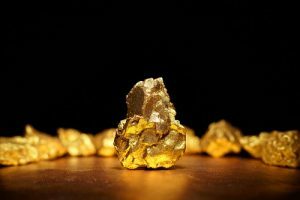 As the world’s second largest gold market, a revitalized economy will be important for gold’s long-term potential. Analysts at The World Gold Council project that “policies such as the demonetisation initiative and the new Goods and Service Tax (GST) will start to have a positive effect on the economy.” Rising demand for gold, however, is about more than jewelry. Citizens graduating to the middle class want access to technology (e.g. tablets, smartphones, computers, etc.) all of which use gold components including bonding wire and connector plates. Today, tax regulations in Russia are particularly unfavorable to gold investment. The country presents a strong disincentive for institutional or individual gold purchases in the form of an 18% value added tax. However, pending amendments may change this burdensome rule. A proposal on the table may remove this tax. The result would unlock enormous purchasing potential in Russia thereby bolstering the price of gold. Additionally, in the last quarter of 2017 Reuters reported that Russia’s central bank “may start buying gold for its official reserves on the Moscow Exchange.” This would be another significant driver of future gold prices as the country’s central bank is among the largest stores of bullion. Meanwhile, the precious metals market on the Moscow exchange is relatively new having launched only five years ago. This all adds up to a picture of high potential in the country. As the world continues to become more interconnected the complexity behind gold’s rise grows. More players and influencers are entering the market every year. Savvy investors, however, can put the pieces together and discern the long-term upside potential that can offer significant growth. In fact, in U.S. dollars the price of gold ascended 13.5% earning its largest gain since 2010.